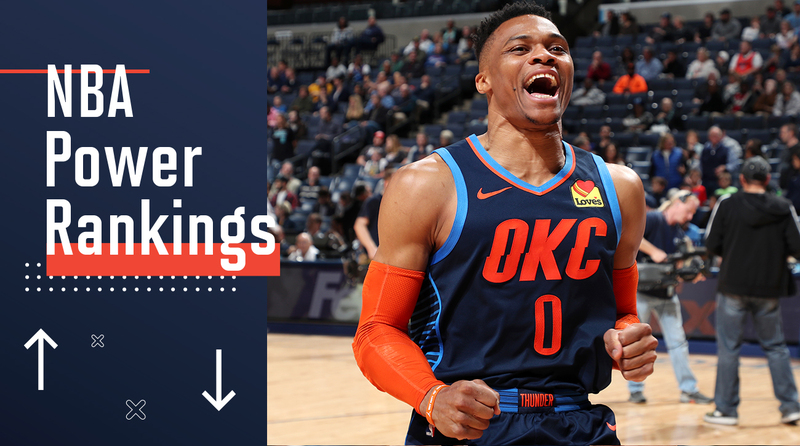 We have reached the end of the regular season and with the postseason starting this Saturday, The Crossover breaks down the best- and worst-case scenarios for each playoff team in the latest edition of power rankings. We’re right at the end of the regular season, which means we’re really at the beginning of the best part. Now is the time we’ve all been waiting for and just like you, I can’t wait to see some playoff basketball. For the final Power Rankings of the regular season, I’ll do the one thing I know you all want and take a wild guess about how this postseason could work out based on what we’ve seen these past six months. But to make this fun we’re going to live life on the extremes and discuss the best- and worst-case scenario for all teams still in postseason contention. And for teams on the outside, we’ll explore what the offseason holds a little bit more. I’ll also revisit the best and worst rank each team had during the season. So, before Dwyane Wade’s career comes to a tear-jerking conclusion, let’s rank some teams. Offseason Outlook: We all know what the goal is for this summer, so there’s no need to elaborate on it much more. Zion, KD and Kyrie come to run MSG. It’s the only way. Offseason Outlook: The chances of landing somebody big in free agency are slim to none, but landing R.J. Barrett in the draft could easily happen. Having him to play along Collin Sexton and Cedi Osman going forward could be the start of something fun. Offseason Outlook: Maybe next season will be the one where it means something that the Suns add decent veterans in free agency. From Book to Kelly Oubre to Deandre Ayton to Mikal Bridges, there is potential for something in the desert. Recent history just makes it hard to think that potential is about to be fulfilled. Offseason Outlook: A quality draft pick could go a long way for this team. There are some pieces in place, such as Zach LaVine and Lauri Markkanen, but getting the best player available on the board, no matter the position, could help push the Bulls to a brighter tomorrow very soon. Health could also make that happen, but you can’t add that in June and July, you just pray for it starting next September. Offseason Outlook: So how much could they get for Anthony Davis? Is Jayson Tatum actually on the board with another intriguing asset? Are Lonzo Ball and Kyle Kuzma more enticing now? Is there a mystery team or third team that could get involved? How long is this about to drag out? As you can see, there’s a lot of questions for New Orleans, and very few good answers. Offseason Outlook: Ernie Grunfeld is finally gone so fans can start coming back to home games. Now it’s going to be time to decide if you re-invest in Bradley Beal, especially if he sneaks onto third team All-NBA and becomes supermax eligible, or if you blow it all up in hopes of being in position to take a big step forward right as John Wall comes off his deal. And if the new general manager’s job isn’t going to be difficult enough, he also needs to determine if how much longer he lets Scott Brooks ride out. I don’t envy whoever takes that job. Offseason Outlook: If the ping pong balls bounce just the right way, Dallas gets to keep its pick and can add a big piece in the draft to go with Luka and Kristaps for the future. But if that doesn’t work out, maybe this summer they can finally lure a bigger free agent or who can make more of an impact thanks to the prospect of playing with Luka and Kristaps. Offseason Outlook: Ryan Saunders gets a whole offseason to make an even bigger imprint on this team. If Robert Covington comes back healthy and Sunday’s third quarter is more of what’s in store for Dario Saric, this playoff drought might only last one year. But if the young guys in Minnesota only grow but so much more in the summer, this might be the start of another long run without the postseason. Offseason Outlook: The Grizzlies are very clearly in a full-on rebuild now, and the only question is what to do with Mike Conley. You can keep him because his contract will be tough to move, and you hope that he provides enough mentorship and passes along enough knowledge to the younger guys while helping to groom his replacement. Or you trade him and hope you get enough bak in return for the man who is arguably the best player in the franchise’s history. Offseason Outlook: The Kings are in that space where they still need to add one more veteran to help get them over the hump, but it has to be at a spot where is doesn’t stunt the growth of any of the obvious budding talents. Maybe a full season with Harrison Barnes and healthy Marvin Bagley III will be enough, but another forward with quality playoff experience could elevate this team into the playoffs. Offseason Outlook: What if they get Zion? Like, what if somehow, some way, we get Zion in Atlanta with Trae Young, John Collins and Kevin Huerter? Even if they don’t the Hawks are one piece away from being wildly entertaining and potentially competing for the playoffs next season. If that one piece is third ever freshman to win the Naismith Men’s Player of the Year, the postseason seems like a much more realistic possibility. Offseason Outlook: Secure Anthony Davis at all costs. Period. We need more reason than just LeBron to watch Space Jam 2. He would probably also help the Lakers make the playoffs next season and possibly compete for a title, but I’m more concerned about the movie. Make sure Alex Caruso gets shine too. Real life and the Looney Tune’s world. Best Case: Philadelphia has nothing to play for on Tuesday and then Dwyane Wade pulls out one more great performance in Brooklyn to glide into the playoffs on Cloud Nine. Worst Case: The Heat find themselves in position to get into the postseason if they can get one more bucket in Brooklyn. But, like Friday in Minnesota, Dwyane’s game-winning attempt comes up short and they miss the playoffs in the most dramatic and heartbreaking fashion imaginable. Prediction: They miss the playoffs. Best Case: The Pistons get locked into the seven and then shock the world in honor of Dwane Casey and completely ruin the Raptors season just to lose in the next round to the 76ers. Worst Case: This four-game losing streak gets stretched to six and Detroit missed the postseason in the most disappointing way it could. Prediction: The Pistons get the eighth seed and make the Bucks work a little bit before getting bounced in five. Best Case: Between Kemba Walker carrying the bulk of the load and Jeremy Lamb hitting as many game-winners as he can, the Hornets sneak their way into the playoffs and push the Bucks to six games. Worst Case: They miss the playoffs. Best Case: Indiana musters up what it needs to take down the Celtics in seven and finally get some respect going forward. Worst Case: They continue this recent skid and the Celtics finish them in four. Prediction: They took LeBron to seven last year, and the Pacers will find a way to do that to Boston as well. But they only get 89 games this season, and the last one will be a loss in Boston. Best Case: Face the Sixers in the first round and prove to be too much of a matchup problem for Brett Brown to figure out thanks to the Ice Veins and Spencer Dinwiddie always coming off the bench in attack mode. The Raptors are too much to handle, but you did enough to convince Jimmy Butler to join the crew for next season in hopes of making an even deeper run. Worst Case: They get swept. No matter who it is the Nets face, it’s a possibility that could easily become reality. Prediction: The Nets push either the 76ers or Raptors to five or six games and go down swinging hard. Best Case: Everything breaks their way, they get Portland in the first round, and win an entertaining series before bowing out in a seven-game thriller against the Spurs, Thunder or Nuggets. Worst Case: They stay in the eighth seed, get swept and then don’t make any big moves in the offseason despite creating proving to be a well-run machine. Prediction: They stay in the eight and make Golden State work harder than it did Sunday in at least two or three games of the series. Or they get lucky and slide into seven where they upset the Nuggets. Best Case: Kyrie is right and it all clicks somehow in the playoffs. They run through Indiana and Milwaukee and then get to torment Philly one more time just for the hell of it. From there, it’s just leaning on Uncle Drew and Al Horford to set the table for Gordon Hayward, Jayson Tatum and Jaylen Brown to steal the show against the Warriors and bring championship No. 18 back to Titletown, USA. 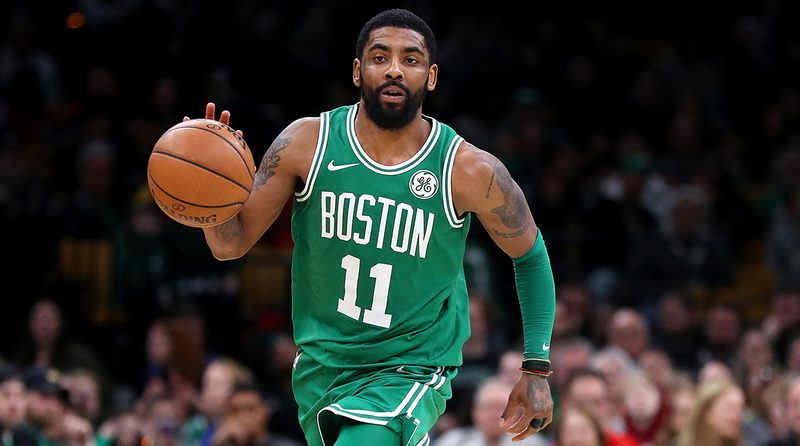 Worst Case: The Pacers get hot and steal the series while Marcus Morris, Jaylen Brown and Marcus Smart get into a triple-threat match as Kyrie points fingers on his way out the door. Prediction: They inspire just a little too much hope in the fan base after an easy series against Indiana allows thoughts of last year’s first-round victory over the Bucks to come pouring back in. But Giannis is on a mission this year, and having Game 7 in Milwaukee will be the difference, as was the case last year in Boston. Best Case: Go against the 76ers and Nikola Vucevic reminds Philadelphia who won the Dwight Howard-Andrew Bynum-Andre Iguodala trade, forcing joel Embiid to go into radio silence all summer. Then the Raptors sweep the Magic back to Orlando. Worst Case: They drop to eight and the Bucks run them out the gym despite being banged up. Prediction: The Magic avoid the 76ers and Bucks, and instead fall victim to Pascal Siakam and the Raptors. Emphasis on Pascal Siakam. Best Case: Putting faith in having the best starting lineup in the conference pays off and Philadelphia’s raw talent powers them through the East and into the Finals. The fear of listening to Joel Embiid run his mouth for an entire year keeps the Warriors motivated enough to win a classic series. Worst Case: The Nets show the regular season contests against the Sixers were just a precursor of things to come and then finish off Philadelphia in six. Prediction: The 76ers get through the first round, but the Raptors cause too many problems for Ben Simmons and Joel Embiid and they go down in seven. Best Case: After getting a favorable first-round encounter against the Blazers, who the Thunder swept in the regular season, they luck into a meeting with the Spurs or Nuggets and advance to the conference finals. There, Russell Westbrook uses every bit of juice in his turbo bar to do the impossible and finish off Golden State to win a defacto championship by beating Kevin Durant. At that point, the Finals is a toss-up and the people of Oklahoma City barely even care cause they can say the were the team from the West that ended the dynasty. Worst Case: The Thunder fall to the seven or eight and then get swept by the Nuggets, who swept the regular-season series, or the Warriors, as Kevin Durant closes out the series in Oklahoma City. Prediction: If the Thunder can avoid the Rockets in the first round, they should advance to then go down in the second round. But Denver might also be too much to handle and the only hope might be getting the Trail Blazers. Best Case: The seeding breaks just the right way to avoid the Rockets in the second round. Denver takes care of business to reach the conference finals, and get a worn-out Houston squad that did the impossible and upended the Warriors. The Nuggets handle a tired James Harden and Chris Paul, but then are just too new to the playoffs and running on too many fumes to get through whoever comes from the East. Worst Case: Gregg Popovich puts on a coaching clinic and Nikola Jokic gets lost in the sauce as the Spurs sweep Denver into oblivion. Prediction: Whether they get the Spurs, Thunder or Clippers, they go seven in the first round. At that point it’s a pure toss-up, but I like Denver’s odds in either matchup that doesn’t involve the Wizard with five championships. But the second round is where this likely ends, even if the seeding breaks right. Playoff experience matters, and it’s hard to go from none to conference finals. Best Case: They sneak into the six and face Portland. Then after that, they get Denver in the second round and get another upset victory to set up a matchup with the Rockets. And somehow, someway, DeMar DeRozan gets to the Finals, and Gregg Popovich makes us all think even more highly of him despite losing the championship round. Worst Case: They lose Wednesday and then have to face the Warriors in the first round again, but this year the series ends in four. Prediction: They get a matchup with the Nuggets or Trail Blazers and advance to the second round where the duos of either Houston or OKC are a little too much for DeRozan and Aldridge to overcome. Best Case: The Jazz slip down to sixth and win a matchup with either Portland, Houston or Denver in the three, and then takes down the winner of the two vs. seven series to get a shot at the Warriors in the Western conference finals. But that’s as far as it goes. Worst Case: All the games everybody is currently playing for seeding leads to a meeting with the Rockets that ends quicker than last season’s. Prediction: If Utah gets Houston, this season ends before May. But if they can get the Trail Blazers or Nuggets, the Jazz will win in the first round, and then go down to the Rockets or Warriors in the second. 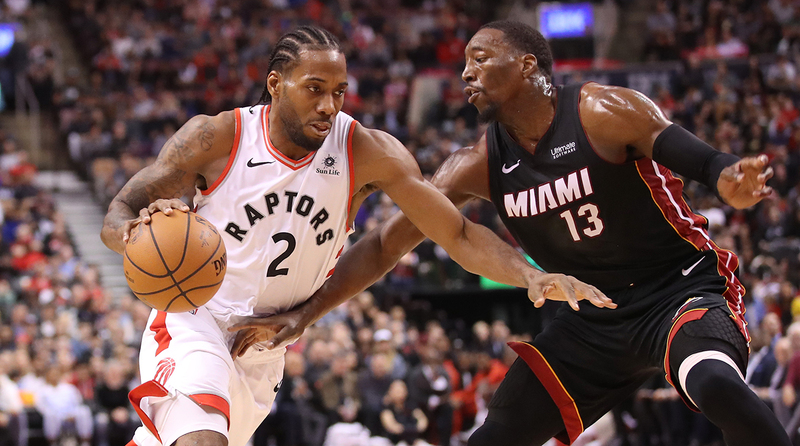 Best Case: Putting faith in Kawhi Leonard and Nick Nurse pays off and the Raptors take advantage of having a former Finals MVP on the roster and take the title allowing, Drake to actually enter the winning-team’s locker room this time around. Worst Case: The Pistons slide up to seven and show that the regular-season sweep wasn’t a fluke. Dwane Casey gets his revenge and the Raptors are never taken seriously again. Prediction: They take the Bucks to seven in the Eastern Conference Finals but playing on the road ends up being too much to deal with. Best Case: Denver’s move to play for seeding by resting guys Sunday completely backfires, and the Rockets get the two and get paired with the Clippers. From there, the Rockets get the Nuggets and James Harden turns Nikola Jokic into a meme before the moment we’ve all been waiting for. Chris Paul stays healthy and the Rockets do their part to halt the Golden State dynasty for at least one season. Worst Case: They get matched up with the Thunder and Playoff P activates this year allowing Russ fans to remind you all about the glory of triple doubles and the 2016-17 MVP he won over Harden. The Rockets never get their third date with the Warriors, and never get to close the deal. Prediction: Third time’s the charm right? Nah. But the Rockets take the Warriors to seven again. However, Stephen Curry is not about to let James Harden and Chris Paul close out Oracle. Expect a lot of shots from the logo and shoulder shimmies. At least it’s better than missing 27 straight threes. Maybe? Best Case: Fo’. Fo’. Fo’. Fo’. Worst Case: They open the playoffs against the Clippers, and the old scab of Draymond Green calling Kevin Durant out his name gets reopened after enough replays of the infamous sideline spat. They survive the series, but then they have to face Houston. The wound festers. They win the series, and it feels like they’re almost in the clear. Afterall, they beat their toughest competition out West. But then they get Russ. And after jumping out to a commanding 3-0 lead, it all crumbles. Something about the OKC crowd in Game 4 and the fractured locker room makes the whole structure to implode. No amount of Klay threes or damn-near-half-court-game-winning-pull-ups from Wardell can save it. And in the final game in Oracle, Russ posts a triple double, and gets his revenge on Durant, who leaves for the Lakers just to piss everybody off. Prediction: They go 16-6 in the playoffs and have one or two really interesting series on their way to the three-peat. Best Case: Giannis rips the basketball world in half over the next two months and the team gets healthy when it matters and runs through the East before taking down Golden State or Houston in the Finals. Worst Case: After a way-tougher-than-it-should-have-been first round, the Celtics prove to be too much of an issue and Al Horford and Marcus Morris cause too many problems for Antetokounmpo and the shooters can’t save the day. Prediction: The Bucks take care of business in the East and give the Warriors a run for their money, but ultimately fall short of the championship. But there’s always next season.